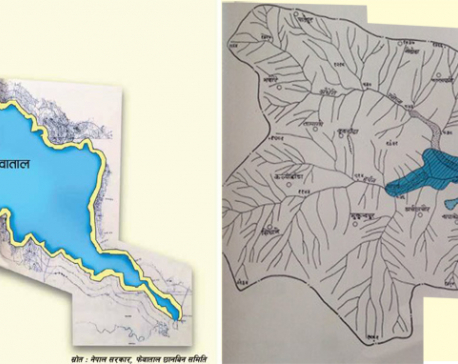 KATHMANDU, Dec 30: At a time when Prime Minister Pushpa Kamal Dahal is dilly-dallying in receiving the report of the commission on local bodies, the Parliamentary Development Committee has directed the government to immediately receive the report, and announce the date for holding local polls by mid-April. A meeting of the parliamentary committee held on Thursday, which was also attended by Minister for Federal Affairs and Local Development Hit Raj Pandey, Chief Election Commissioner Ayodhee Prasad Yadav and other commissioners, and chief whips of all major political parties, also asked the government to work to endorse all the election-related bills without further delay. Most lawmakers speaking at the meeting had underscored the need for holding the local election at the earliest as the local bodies are without people's representatives for the past two decades. The decisions of the meeting state that since the commission has already finalized its report on the number and boundaries of village councils, municipalities and metropolitan cities under the new federal structures, the government should receive the report at the earliest and start creating environment conducive for holding the polls by mid-April. The meeting has directed the government, the Office of the Prime Minister and Council of Ministers, and the Ministry of Federal Affairs and Local Development (MoFALD) to complete the tasks. 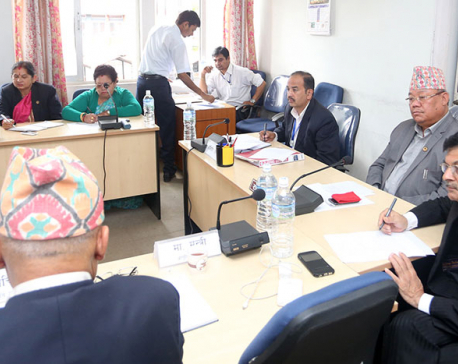 Likewise, the meeting chaired by the committee's chairman Rabindra Adhikari directed both the Office of the Prime Minister and Council of Ministers and the MoFALD to table all additional bills necessary for holding the election in parliament. The meeting also asked the government to provide support to the Election Commission to start preparation of the logistical arrangements including designing voter education, ballot paper printing and the arrangements of electronic voting machines. Currently, the Election Commission has only two commissioners including the chief election commissioner. The meeting also directed the government, the Office of the Prime Minister and Council of Ministers and the MoFALD to fill the vacant positions at the Election Commission. Among other things, the Committee also directed the Ministry of Finance to make sure that the EC does not face shortage of financial resources to make necessary preparations for the election.